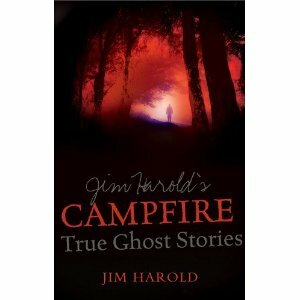 I just took a couple of hours to update my Amazon “aStore” — Jim Harold’s Emporium of Paranormal Delights. All of the latest books on “The Paranormal Podcast” are updated, there is a new section for Kindle Books going back to our earliest shows in 2005, and for Kindle e-readers. Your Amazon purchases from these links help us greatly! Check it out by clicking “SHOP” at the top of the page. Thanks for your support! Unfortunately, all of our slots for Maria (first & alternates) are filled for this taping. But, stay tuned. We have Maria on the show about twice a year. Thanks for tuning into the program! Aspiring writers, here is a chance to be included in Jim’s upcoming book – Jim Harold’s Campfire: True Ghost Stories. My publisher, New Page Books, came up with the idea to feature a listener’s written essay in the book! I think it is a great concept. Hopefully, we’ll discover some new talent! 5. You must complete this form AND email a copy of your essay in .doc (Word) format to jim@jimharold.com. Failure to do both will disqualify you. 6. Winner will be selected based on merit of the essay. Judging will be totally subjective. Weird News Radio Is On The Air! 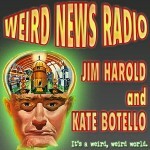 My new show on this week in the weird is now up and available at weirdnewsradio.com and on iTunes. I am co-hosting with the Emmy Award winning Kate Botello (of Tech TV/The Screen Savers fame). Please check it out. I think you’ll like it! Weird News Radio Launches June 1st! 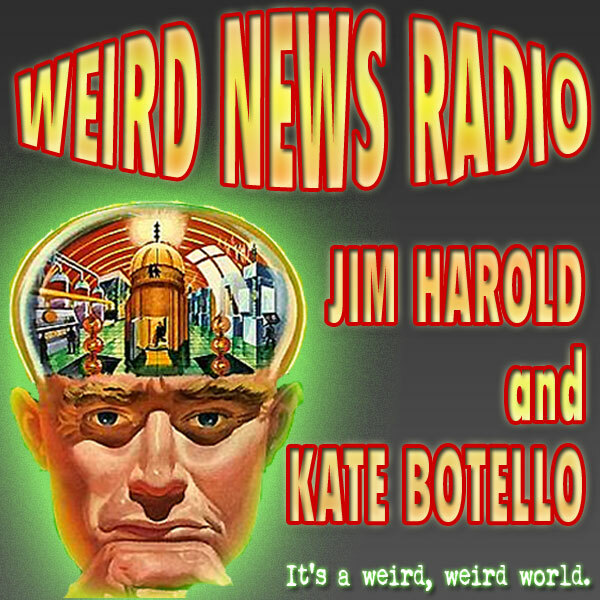 I am thrilled to announce that starting on June 1st, I will be co-hosting Weird News Radio with Kate Botello. As many of you know, Kate is an Emmy award winning broadcaster who achieved national prominence at the TechTV cable network where she co-hosted Extended Play and The Screen Savers. This show will be in addition to all of my JimHarold.com and JimHarold.net programs. Each week, we’ll cover the weirdest and wackiest news out there in our new audio podcast. Join us starting on June 1 for Weird News Radio. You’ll find the show at WeirdNewsRadio.com, in fact, there is a sample there right now! Check it out today! Please don’t do this! UFO hoaxers only delay getting to the truth about the phenomena! Loyd Auerbach sent me an excellent note on resources for free public domain paranormal books. It was such a great note that I asked his permission to repost it here. Thanks Loyd! Here’s info on the free ebooks. There are literally hundreds of free ebook versions of books and journals having to do with the paranormal from the 19th and early 20th centuries. Many have also been converted to the ereader formats used by Amazon’s Kindle and Barnes & Noble’s Nook — both have free ereader software for your PC or Mac, as well as apps for iPhones and Android phones. But here’s the catch: they have not all been tagged for the subjects in the best manner, so searching can be a bit weird. Search on the following terms, some of which will bring up titles with these words, some with tagged items. Note that some of these terms will bring up texts in other languages and also some unrelated books — especially the term “ghost”. As you find these, other terms will also occur to you. FYI: I purchased a Nook several months ago, and now have a library of over 300 (and growing) of these books available on my Nook, PC and Droid phone. Some even deal with spirit photography and include the photos. The Pentagon is claiming this was an optical illusion…I’m not buying it.